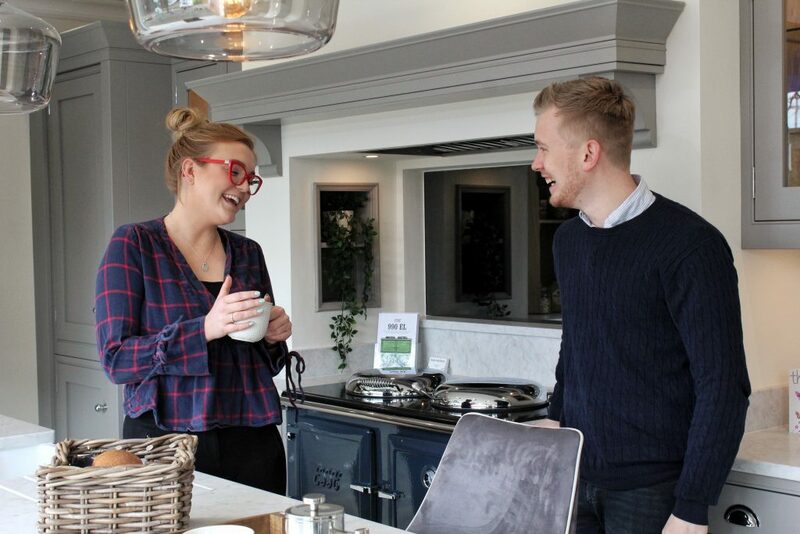 Meet Olivia and Tom, two of the amazing kitchen designers at Interiors 4 Living, one of our specialist 1909 retailers in Leeds. 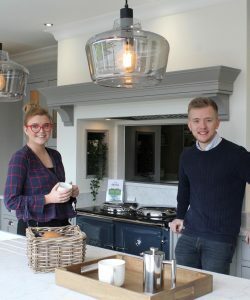 In this Journal entry, we’re handing over to Tom, as he talks us through Interiors 4 Living’s new 1909 showroom display, gives us his advice on planning a kitchen, and shares his interior design predictions for the upcoming year. What made you update your 1909 showroom display? “As a team, we felt it was time we gave our customers the opportunity to see a beautiful In-frame shaker in its full glory! “Before 1909, we’d never had an In-frame Shaker at Interiors 4 Living, which left us at a disadvantage when trying to help customers visualise the style in their homes, or when introducing customers to the style in the first place. What has the customer response been? Do they like your new display? 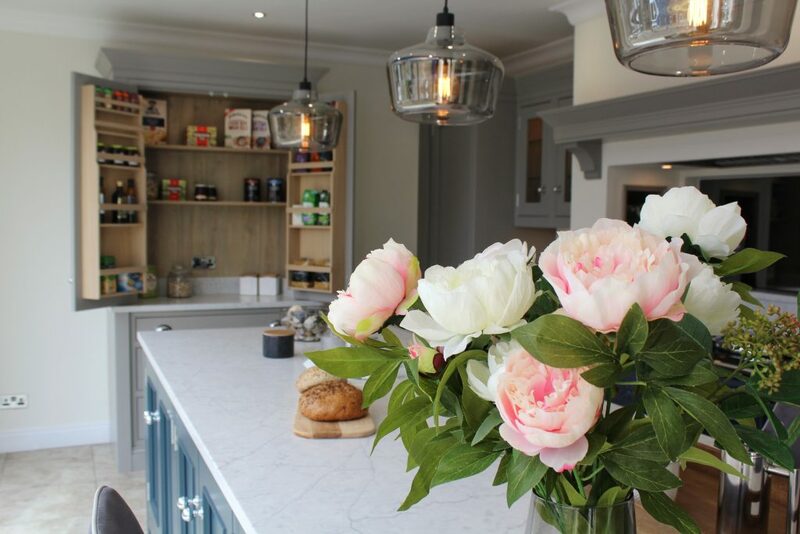 What would be your top tips for those planning a kitchen? “First of all, it’s important to make sure you have an understanding of how you’d like to use the space and how it needs to fit to your lifestyle. 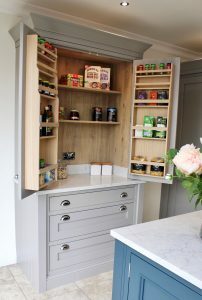 Once you have this idea in place, you can alter it to suit the appliances and accessories that will need a home in your kitchen, whether this be on a worksurface or tucked away in a cupboard. 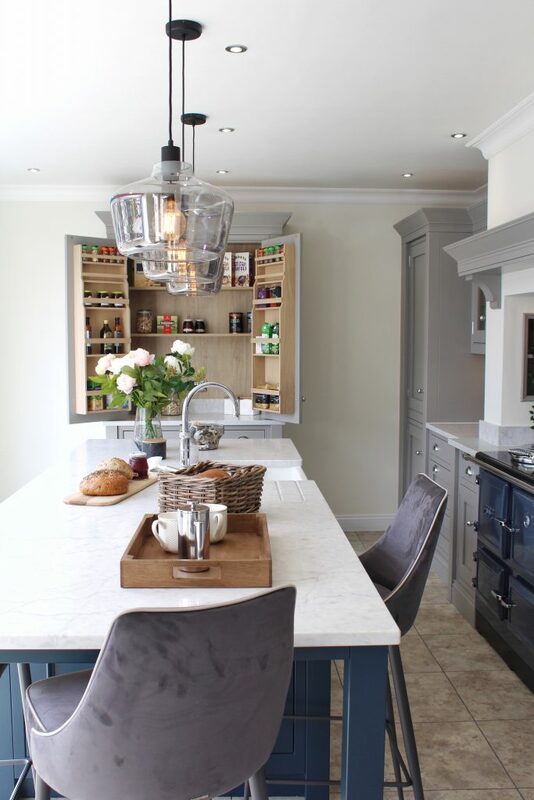 “Try to think about maximising storage and worktop space, making sure everything will have a place, and you will have enough space to go about your daily tasks such as cooking and food preparation. What kitchen trends do you see being popular this year? Dark colours are set to be big this year, like Hartforth Blue and Copse Green from 1909. 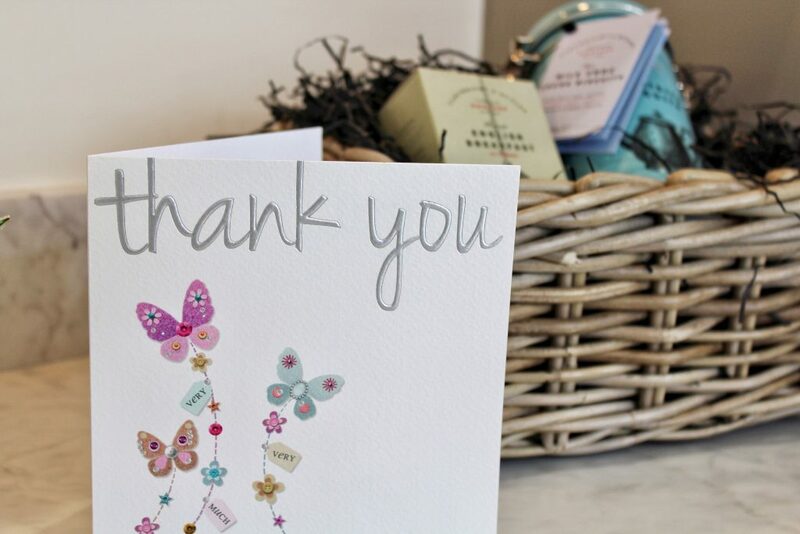 They’re perfect for creating a sophisticated statement alongside a more neutral palette. 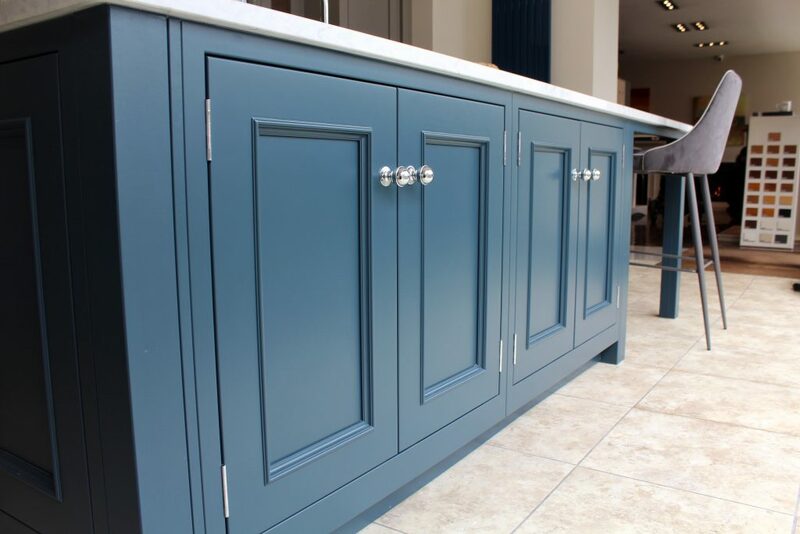 We’re so happy that we chose Hartforth Blue for the feature island in our new display- it pairs beautifully with Putty and has seen a lot of interest! We’ve also had a lot more enquiries from customers looking for the industrial look lately, searching for a spacious, clean and linear style so I predict this will continue to grow in popularity in 2019. 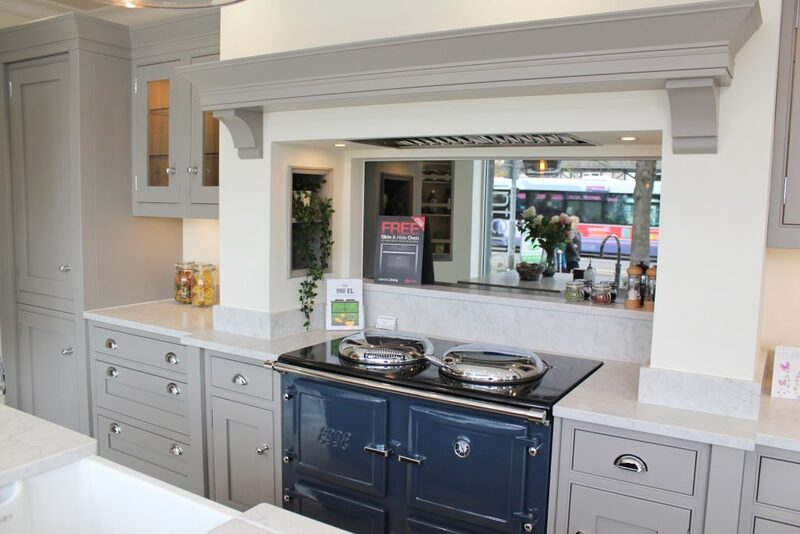 Lastly, why do you think people should turn to an independent showroom for their new kitchen? Choosing an independent showroom guarantees you a personal experience that is hard to find in a chain supplier. 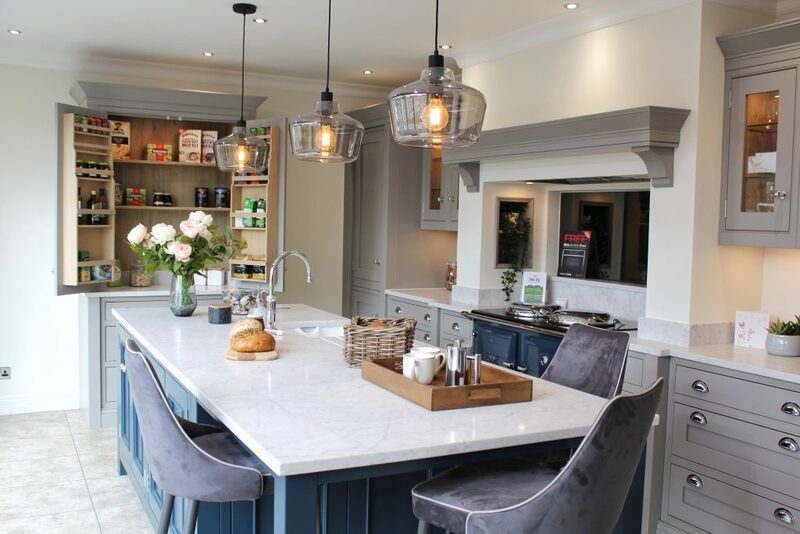 Our kitchen designers take pride in spending valuable time with our customers, discussing their plans, wishes and the details of each project in depth so that we can be certain our customers get the kitchen of their dreams. We stick with a project from start to finish, enabling it runs smoothly and we get the ideal end result.